If you had to choose just one wheel, the 404 Firecrest Carbon Clincher should be your choice. With the depth and shape proven in all conditions, it’s the all-around performer and the standard by which all other wheels are measured. 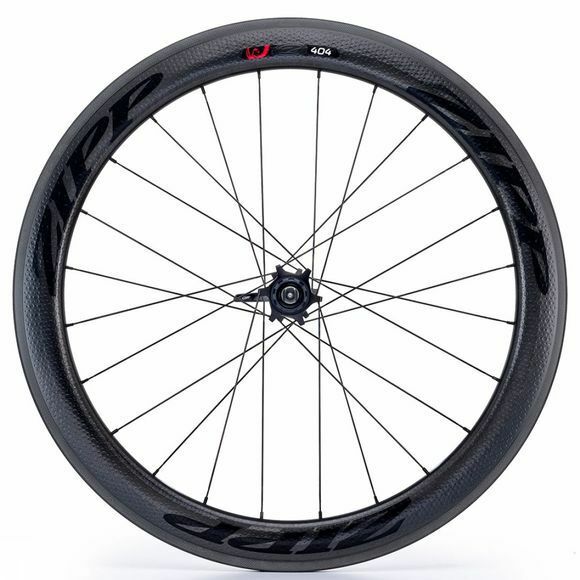 Its 58mm rim depth is a classic all-around performer that has carried athletes to victory in every kind of event and situation – every triathlon distance, breakaways, field sprints and hilly finishes. The 404 Firecrest Carbon Clincher is where the Firecrest® Revolution began as the first deep-profile carbon clincher design to offer the superior aerodynamics, ride quality, strength and handling of a wider rim body. Yet the 404 Firecrest Carbon Clincher weighs 1,690 grams per set, providing best-in-class performance at a light weight. At the center of the 404 Firecrest is Zipp’s 77/177 hubset with best-in-class durability and improved bearing protection with no pre-load adjustment needed. The result is improved stiffness, durability, simplicity and versatility. For those looking for a wider gear range, or tackling especially extreme terrain, an XDR driver body for 177 is sold separately and easily installed to allow for more cassette options including a 10-42. The hubset is designed to swap driver bodies without re-dishing the wheel.